Authorities found trash, dead animals and feces from wall to wall in a mobile home in Rochester, New Hampshire; two children were rescued. 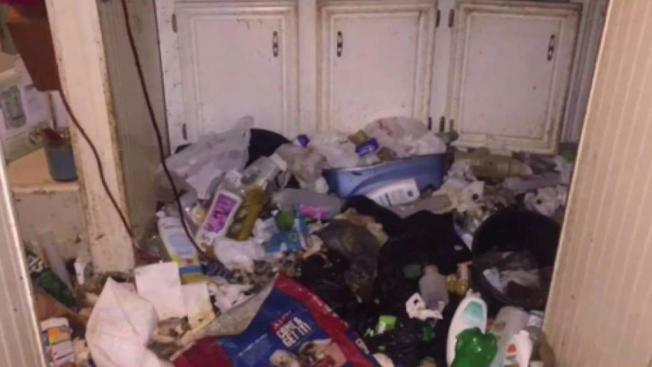 A New Hampshire home was condemned and two children were rescued from deplorable conditions after authorities found trash, dead animals, and feces from wall to wall inside a Rochester mobile home. The woman who lives next door to 7 South Blueberry Lane told NBC Boston she was the one who called police. She said once the rats at her neighbor’s house started scurrying over and infesting her house, she had had enough. Other neighbors are appalled as they look at the photos captured by Rochester Code Enforcement inside the South Blueberry Lane home. “That’s really disturbing, especially to know it’s right down the street,” said nearby resident Jayne Wells. What’s worse is that an 11-year-old girl and a 14-year-old boy were living in these conditions. Keni-Lynn Mone is the mother of the children. Rochester Police charged her with two counts of endangering the welfare of a child, and one count of cruelty to animals since there was a dog and cat inside too. “It’s really unknown as to how it got to that point and what led her to allow her to get to that point,” Pinkham said. In additions to the feces and trash, authorities found bugs everywhere and rats squirming under their feet. “It seemed like the floor was moving at certain points, they could hear sounds,” Pinkham explained. Neighbors said they knew there was a rodent infestation. “There’s rats out behind my house that run down to woods to their house,” said neighbor Charles Croft. But they never imagined such a dreadful scene inside. Police tell us the children are healthy and safe and staying with a family member and the dog is at a shelter. The homeowner is due in court on July 31.